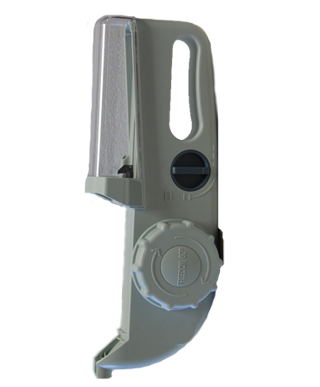 Syringe Pump — Oso Home Care, Inc.
Syringe pumps started out as an economical way to administer the medication without the expense of bags and tubings. It regulates the rate at which the medication infuses. Syringe pumps are sometimes necessary with certain types of medication administration. Indications for Use: The Freedom60 Syringe Infusion System is indicated for intravenous, intra-arterial, enteral, subcutaneous and epidural infusion of medications or fluids requiring continuous delivery at controlled infusion rates.The Freedom60 is also intended to provide continuous infusion of a local anesthetic directly into the intraoperative site for postoperative pain management. Contraindications: The Freedom60 is not intended for the delivery of whole blood, critical or life sustaining medications, or for the infusion of insulin. The B Braun McGaw Becton Dickinson 360 Infuser is a microprocessor controlled, portable syringe pump designed to deliver intermittent infusions. The syringe sizes used are 3cc to 10cc, and delivery times range from 10 to 60 minutes. When the time has been set and the syringe is in place, the pump automatically calculates the proper speed and occlusion pressure. This unit is battery powered, and requires 4 C-size alkaline batteries.